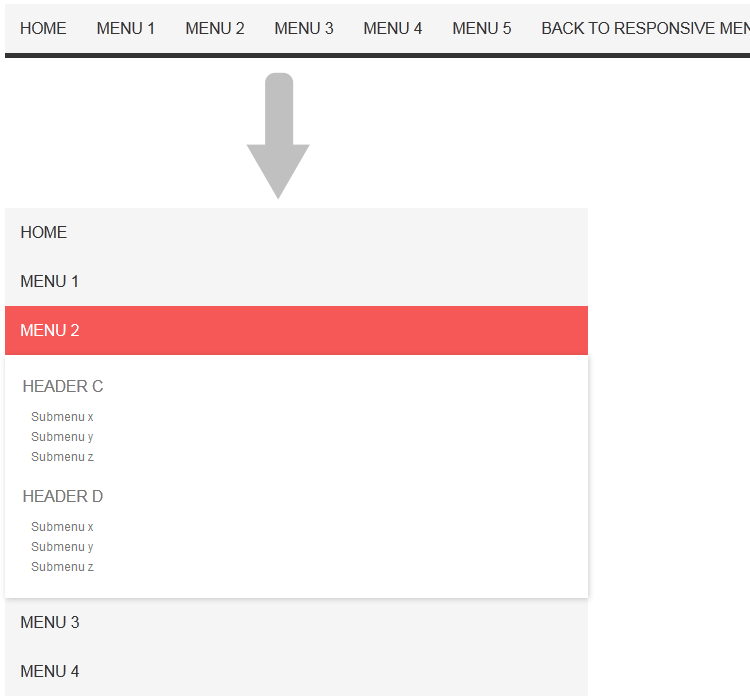 Today I’m going to tell how to create a responsive navigation menu using only CSS3. You can notice here one trick – meta with name=’viewport’. This tag is required to scale page content inside your screen properly. At can be any screen – of your monitor or a screen of your mobile device. Rest code should be easy to understand – multilevel UL-LI menu.